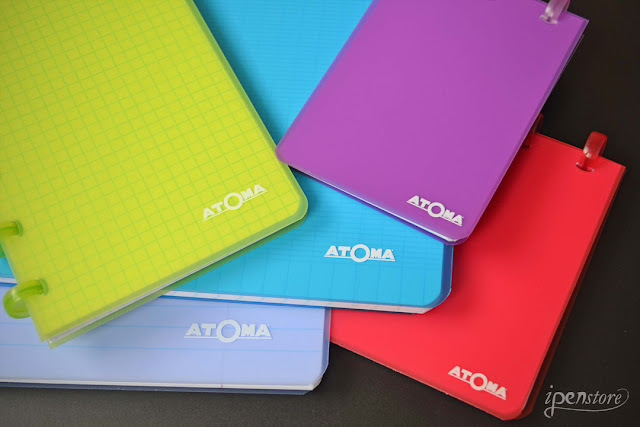 We are very excited to introduce our new line of notebooks by Atoma. 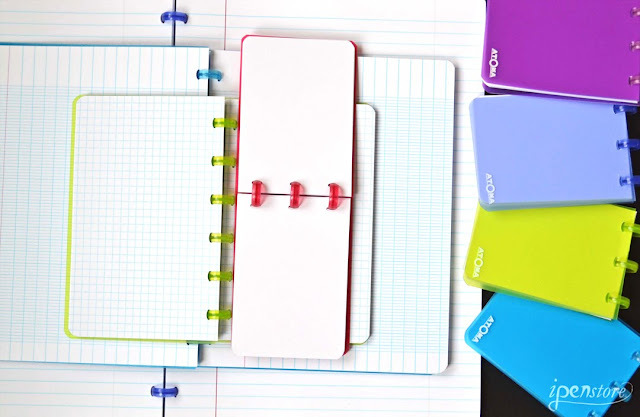 These disc bound notebooks can be refilled over and over again allowing you to pull out pages to print or scan, and return them back again into your notebook or put them into a different one. 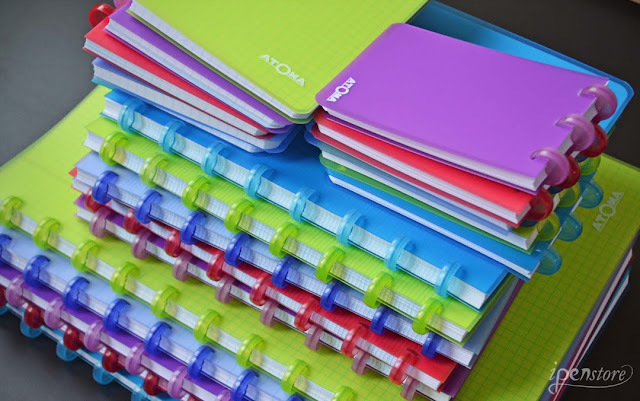 We are also carrying all the paper refills so you can easily mix paper styles into one notebook- creating a versatile system that works for you. We are carrying the full line which inclueds covers in Cardstock, Felt, Transparent Poly, Opaque Poly and Leather. All these choices have a variety of size options as well! Check out the variety of option in the Transparent Poly line! Click on any of the photos to go directly to our store and see the complete line. Here's an example of the Cardstock cover in orange- the photo is from our friend @randomthinks on Instagram.